The MIT Innovation Initiative engages thought and action leaders to work directly with MIT scholars to better understand the complex processes involved in taking innovation beyond invention to address urgent global problems. Visiting Innovation Fellows are drawn from policy, corporate, risk capital, and entrepreneurial settings, and interacts with the MIT community through convening events, lectures, and one-on-one sessions with student entrepreneurs and others seeking to engage more deeply with innovation practitioners. 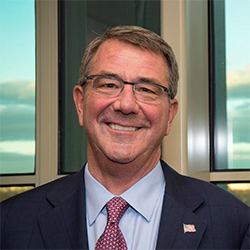 Ash Carter currently serves as the Director of the Belfer Center for Science and International Affairs at Harvard University’s Kennedy School. He also is an innovation fellow at the Massachusetts Institute of Technology. At the same time Carter directed America’s global operations, he also spearheaded revolutionary improvements to the Defense Department. To develop new technological and operational capabilities, he pushed investments in research and development to nearly $72 billion dollars in the fiscal year 2017 budget alone. Carter also launched six transformative ‘Force of the Future’ initiatives to change the way the department recruits, trains, and retains quality people, and he also directed the opening of all military positions to women without exception. 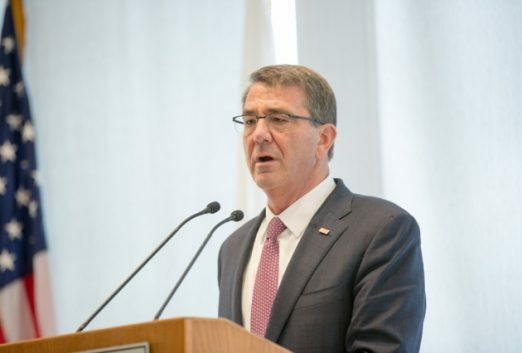 And to make the department more innovative, Carter created the Defense Digital Service to bring tech experts into the Pentagon for a tour of duty. He also opened Pentagon outposts in Silicon Valley, Boston, Austin, and other tech hubs to reconnect the government and military with visionary private sector leaders and companies, and established the Department’s first Defense Innovation Board, which attracted thought leaders such as Google Alphabet’s Eric Schmidt, astrophysicist Neil Degrasse Tyson, LinkedIn’s Reid Hoffman, and many more, as well as the Pentagon’s Chief Innovation Officer position. Before becoming Secretary of Defense, Carter served in the department’s number two and number three jobs. 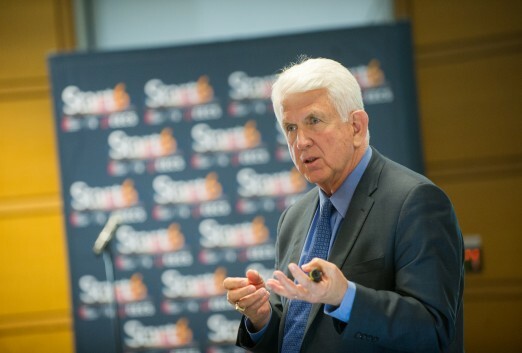 Outside of government and the university, Carter was a Senior Executive at the Markle Foundation’s America-wide initiative to shape technology and trade strategies to enable all Americans to flourish in a networked global economy. Previously Carter was a Senior Partner of Global Technology Partners focused on advising major investment firms in technology, and an advisor on global affairs to Goldman Sachs. Carter has also served on the boards of the MITRE Corporation, Mitretek Systems, and Lincoln Laboratories at the Massachusetts Institute of Technology (M.I.T.) and as a member of the Draper Laboratory Corporation. He was also elected a Fellow of the American Academy of Arts and Sciences and is a board member of the Council on Foreign Relations and a member of the Aspen Strategy Group. Currently, Secretary Carter is member of Delta Airline’s Board of Directors and will advise the MITRE Corporation and Lincoln Laboratories on technology matters.